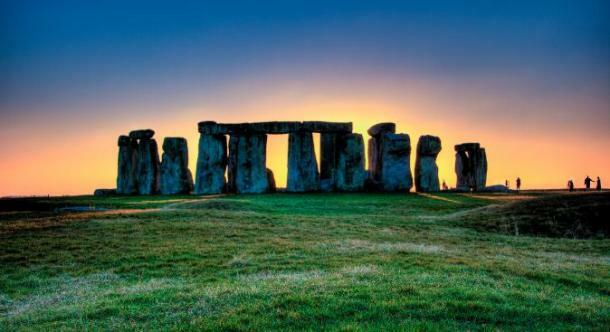 Archaeologists who have been undertaking excavation work in the surrounding area of Stonehenge have claimed to have solved the mystery as to why the large circle of standing stones was constructed in the position it is in. However, it seems rather premature to be popping open the champagne bottles just yet as the evidence is far from conclusive. The team of scientists working in Amesbury, a short distance from where the landmarks sits on a hillside, believe the discovery of a ‘warm’ water spring provides all the answers they were looking for. It is claimed that Ice Age man was drawn to the nearby pools which never froze over and settled in the area to have access to the water. The pools are fed by a spring which keeps the water at a constant 11 degrees, even in winter. Scientists visited the area in minus ten degree temperatures and found that the pools had not frozen over. The reason for Stonehenge’s location has remained one of the great unsolved mysteries of British prehistory, with no one theory accepted as correct. While the latest finding is interesting, it certainly appears too superficial to explain all the other evidence relating to Stonehenge’s location – were the warm springs a big enough motivation for Mesolithic settlers to drag megalithic blocks over 240 kilometres? Is the fact that it sits perfectly on a solstice axis now considered insignificant? Hopefully scientists don’t believe this research is enough to close the file on the mysteries of Stonehenge. Join a guided tour from Salisbury and learn more. 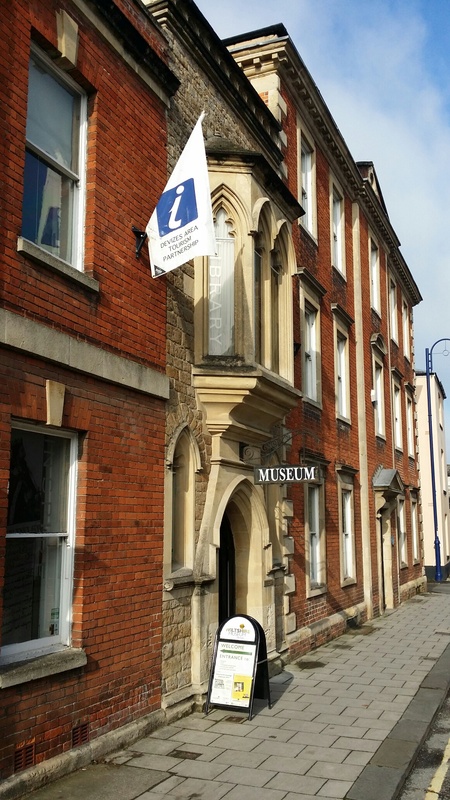 The Wiltshire Museum in Devizes has just opened 4 new fantastic pre-historic galleries following a £750,000 project supported by the Heritage Lottery Fund, English Heritage, Wiltshire Council, the North Wessex Downs Area of Natural Beauty and other sources. For the first time for many years some of the “crown jewels” of Stonehenge can be viewed in state of the art exhibition cases. It includes the largest collection of Early Bronze Age gold ever put on public display in England. David Dawson, Director of Wiltshire Museum said: “Devizes is mid-way between two of the world’s most important ancient monuments – the great prehistoric stone circles of Stonehenge and Avebury. Visiting the Wiltshire Museum completes the experience of seeing these two iconic sites. A visit to the Wiltshire Museum is essential to really understand the rich history of the WHS and life in the Neolithic and Early Bronze Age. You can read about the new galleries here. Stonehenge visitor centre opens on 18 December and the new interpretation gallery features loans from Wiltshire Museum. The Salisbury Museum opens its newly refurbished prehistoric galleries in Spring 2014. Our guided tours from Salisbury will be including this fascinating museum in 2014. If you want to get a sense of how truly extraordinary Avebury is there are two ways of doing it. One is to see it from the air and the other is to take a tour with one of our fantastic volunteer stone circle guides. Now you can combine the two as stone circles guide Mike Robinson accompanies you on a bird’s eye journey around the henge. Our stone circles guides are out in all weathers, year round, sharing their passion for Avebury, its archaeology and the people who’ve helped reveal its story. So when you next visit why not pop along to the Barn Gallery of the Museum and book yourself onto a tour? But if its the Stonehenge Landscape that has you hooked, fear not, our dedicated team of volunteer guides offer year round landscape walks there too. Archaeologists have started a new excavation of Amesbury in an attempt to uncover some of the mysteries of Stonehenge. Amesbury is located in southern Wiltshire, England, and in recent years has revealed some incredible archaeological discoveries, including numerous monuments and artefacts dating back to the Mesolithic era. 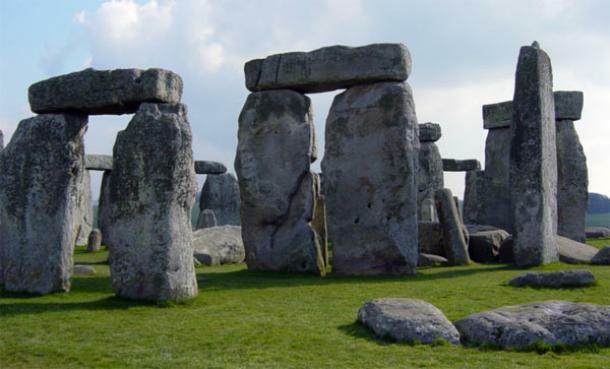 The major dig due to start soon could help to explain why Stonehenge was built where it was. Excavations since 2005 have indicated that Amesbury and the surrounding area has been settled for around 10,000 years, much earlier than previous thought. Findings have included large scale prehistoric structures and settlements and numerous monuments around Stonehenge. New excavations will be seeking to establish Amesbury as the oldest continuous settlement in the UK. At the moment, neighbouring region, Thatcham, has evidence for the oldest settlement with well-preserved remains of a Mesolithic settlement dating back to 7,700 BC. In Amesbury, evidence of settlement has been found dating back to 7,596 BC, but archaeologists have not yet reached the bottom section of the trench where previous digs took place, indicating that much older evidence may be found beneath. The team is hoping to find evidence of settlement going back to 10,000 BC. But the dig is about much more than establishing the oldest date of settlement. The team or archaeologists believe that findings may help to explain why Stonehenge is where it is. The dig will finish on 25th October and findings from the excavation will be reported then. Stone Circle Access visits take place outside the normal opening times at Stonehenge, and are very early in the morning or late in the evening, and are not offered during the normal opening times. The visit must be pre-booked and paid for in advance of your visit by completing the Stone Circle Access application. 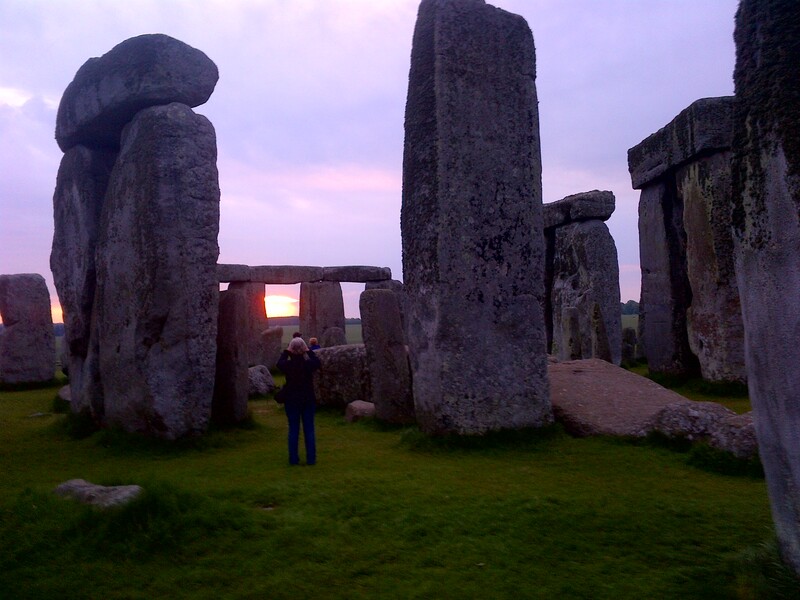 Each visit lasts for one hour, and we allow only a maximum of 26 people within the stones. A Stone Circle Access visit is not a guided tour, and touching of the stones is not permitted. The visits provide the opportunity to go into the centre of the stone circle which is not possible during normal opening hours when visitors have to stay outside the stone circle. As the visits are out of hours, there are no audio guides available and the gift shop and catering outlet are also closed. However, if you have a stone circle access reservation you can also visit Stonehenge during normal opening times on the same day for no additional cost. To enhance your Stone Circle Access visit you can order a guidebook, which will be ready for your collection at the time of your visit. Stone Circle Access is not available throughout the year on Tuesday or Wednesday mornings as we have scheduled grounds maintenance at these times. English Heritage are now taking bookings for January to September 2014. Please make sure you fill in the appropriate Application Form (see ‘Related Documents’). If you wish to make an enquiry about availability then please call +44 (0)870 333 0605, Monday to Friday 9am to 5pm. Please note that the booking office is closed at weekends and bank holidays. You can also email them at stonecircleaccess@english-heritage.org.uk with a booking form. Please note: English Heritage reserves the right to cancel any arranged visits at short notice and will not be held liable for any costs incurred. 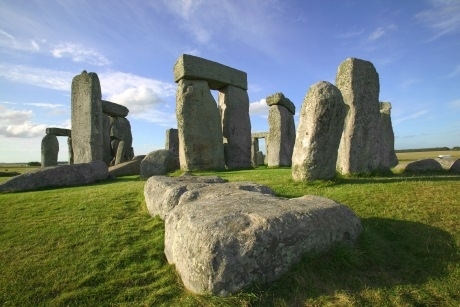 English Heritage has announced that new visitor facilities at Stonehenge will open to the public on 18th December 2013, accompanied by a host of group travel benefits. Highlights of the attraction include a new visitor centre housing permanent and temporary exhibitions featuring a ‘Stone Circle’ which visitors can stand inside to experience a virtual solstice. You can also discover some of the theories around the origins of the monument and see some of its archaeological finds displayed on site for the first time. There is a shop, café with seating for up to 260 people, plus an external exhibition featuring a cluster of Neolithic houses which will be built from January 2014 and completed by Easter. Frequent visitor shuttle service, able to carry 850 visitors an hour to the Stone Circle, is available, and there is also one stop en route so that visitors can opt to walk part of the way if they wish through the ancient archaeological landscape surrounding the monument. A Stonehenge-only booking line (exclusively for group travel organisers and tour operators to use) will open on 1st October. Pre-booked timed tickets will be required for all groups of 11 or more, with a ten per cent discount plus free entry for organisers. Organisers will find dedicated parking for up to 30 coaches, with a drop-off bay outside a group’s reception building, where you can collect pre-printed tickets and free audio tours in ten languages.